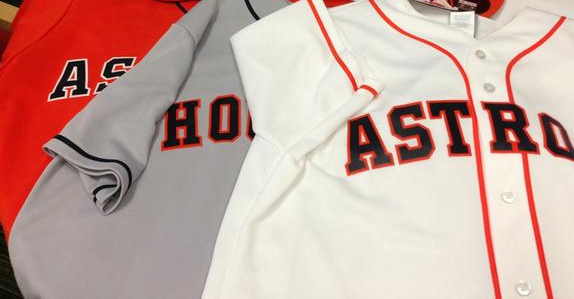 As the Houston Astros prepare to start the next season in the American League, they are also vamping up their look. Recently, the baseball club unveiled new branding across the board, including new logo, uniforms, and even a mascot. The best thing about this new look (other than the vintage-esque simplicity) is the insight that went in to the final product. After months of research and focus groups, fans resonated with logos of the past, using a the simple “H” and Texas star. As a designer who gets much inspiration from vintage typography and branding, I was extremely excited to see a professional athletic team going in this direction. In a generation of sports logos where everything seems beveled, embossed, and shiny, the Astros have taken a cue from the past with bold simplicity, strong colors, and classic heritage. The new logo is based almost directly on the team’s logos used during the 60s and 70s, with a slab serif “H” placed above a Texas star. The logo uses a very small amount of beveling, which actually works perfectly through the use of subtle color shades. Every element is very tastefully done in a simple, elegant way. One surprising element was the almost boring, expected approach to the team name on the jersey, but at least they are classic and minimalistic. On the other hand, seeing a retro style jersey with the multiple shades of orange along the side puts a smile on my face. 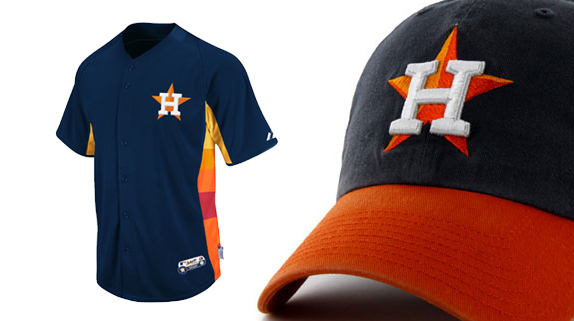 In a discreet way, the Houston Astros have created a modern look using a vintage mentality. 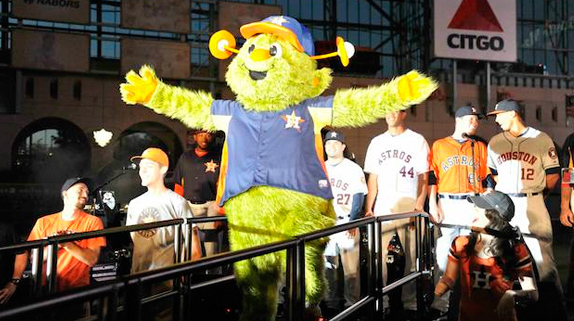 Even the return of Orbit as the team mascot speaks to this mentality, which fans are obviously excited about. All in all, the Astros club seems to be very successful in their entire design and strategy. “The response has been unanimous, people love it. They say, ‘Yes! 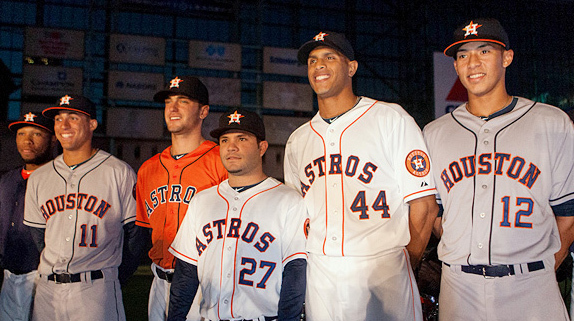 '” said Astros vice president of marketing and strategy, Kathleen Clark. The use of fans and focus groups to create the design mentality is a token to the club’s culture and respect for it’s hometown. Seeing a wide base of fans responding to a classic, simplistic approach is refreshing for any designer to see. 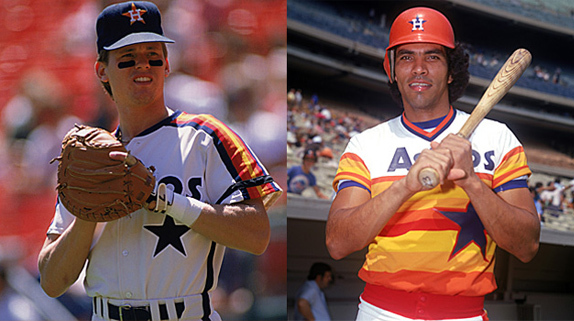 Looking forward, hopefully other teams take orbit alongside the Astros and their design decisions. Giving the fans ownership in the new look gives them loyalty and admiration for the team, which can only create a recipe for success.